With ManicMatt's tip and a little research I'm gonna take a stab at Saving Hope? This was my next picture, showing my 2 favourite doctors. Bonus points, if you can tell me if Charlie's ghosts are real or just his imagination? I've never seen the show, but it sounds really interesting. I'll have to check it out! Is that Bill Bailey or Nick Frost or none of the above? Mandle: ha, a live action version of the cartoon would be funny, but this isn't it. Stupot: ah another familiar.. face.. that doesn't work. familiar profile name. heh. 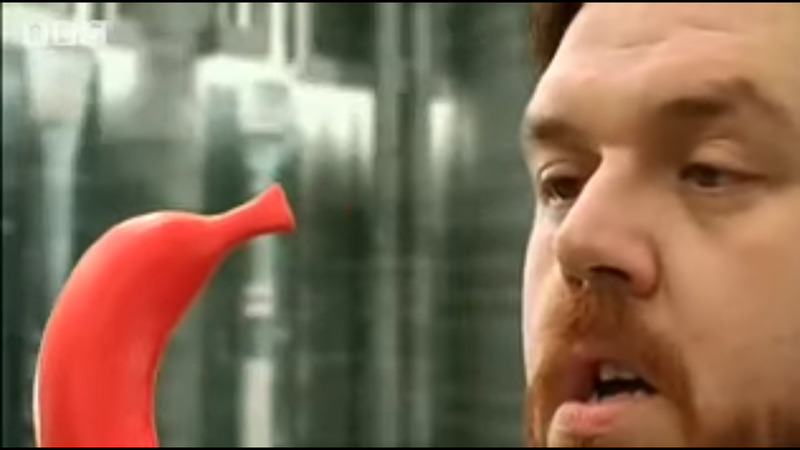 anyways, its not Bill Bailey, but it is Nick Frost! My guess is Hyperdrive since it is Nick Frost. I watched it twice on Netflix. I only vaguely remember it and can't even remember any character names. But the red banana seemed fitting. I'm not even sure how much I'll enjoy it when I do watch it! Well, it depends on how much you like stupid comedy/science fiction. It tried to be good, but didn't quite reach the mark. It is Joe Flanigan, but not Stargate Atlantis. As for looking younger, both this and the first season of Stargate Atlantis occurred between 2000 and 2005. I'll replace it with this soon, mmkay?